Georgia Gives Day is almost here so mark your calendars and set your alarms for November 17, 2016! On November 17th we are asking everyone near and far, old and young, to give a donation so that we can come together to do a lot for our beloved bulldog friends. No amount is to big or too small because every single dollar makes a difference in the care of our bulldogs. Did you know that GEBR has spent $155,000.00 in vet bills alone so far in 2016? This has been the biggest year to date for GEBR so it’s only appropriate that we set our biggest goal for Georgia Gives Day yet: Our goal is to raise $10,000.00 for our bulldogs. Donations can be made at any time during the day on November 17th but we are asking everyone to focus on the hours of 8:00am – 9:00am or 5:00pm – 6:00pm. During those one hour timeframes, GEBR has the opportunity to win an additional $1,000.00 if we have the most $25.00 donors within that hour. These so-called “Power Hours” give GEBR the opportunity to win an extra $2,000.00! As though helping our bulldog friends wasn’t enough incentive to donate, we’ll also send a small gift to those who donate $25.00 or more during the Power Hours and enter your name into a raffle (raffle item will be announced that day on Facebook). Click here to visit our page on the Georgia Gives Day website. 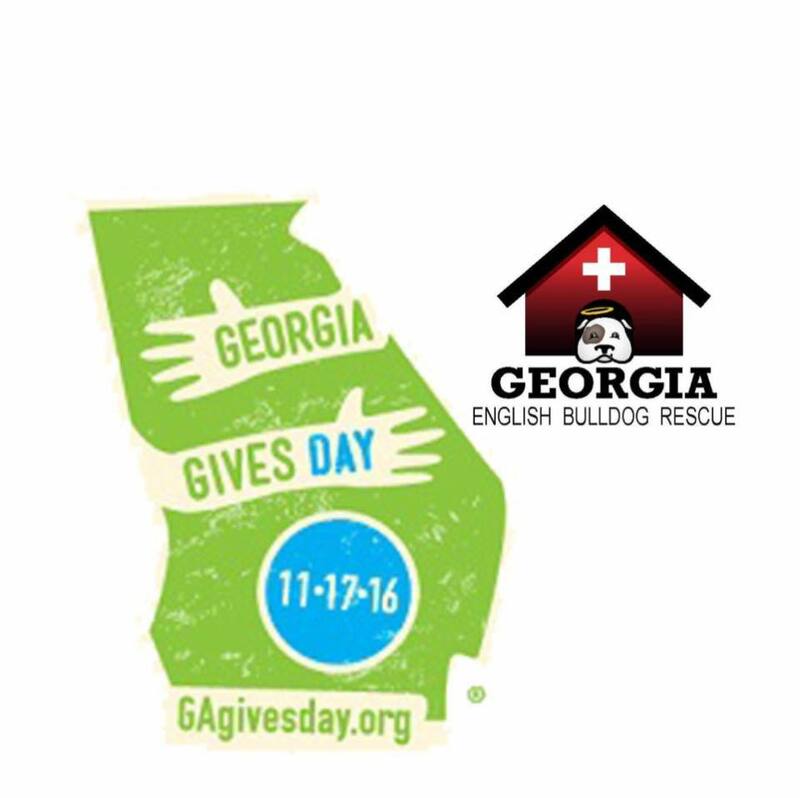 We are also asking that all of our supports change their profile picture to this Georgia Gives Day – GEBR logo from now until November 18th.